The whole family Waugh fell in love with was the Lygons and the house was Madresfield Court, home to the Lygons for nearly a thousand years. 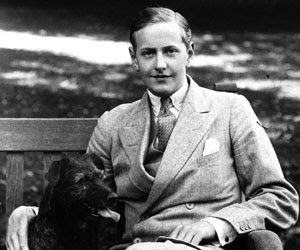 Madresfield had passed through twenty-eight direct generations of Lygons when Evelyn Waugh first crossed the threshold. 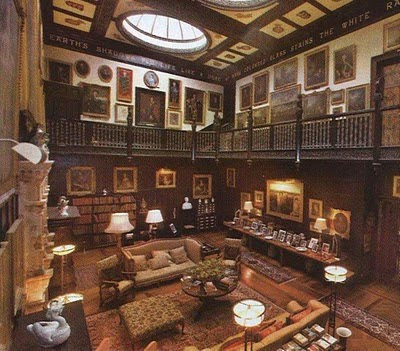 The "Brideshead" revisited in the mini-series was in fact, Castle Howard. 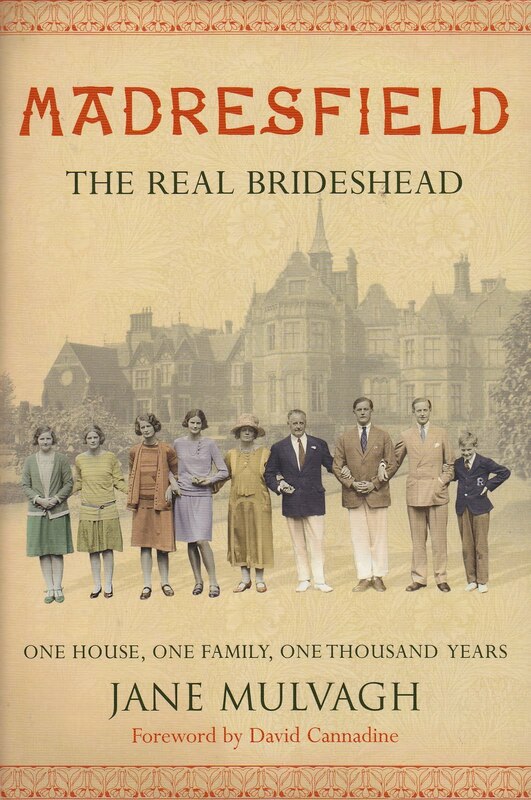 The Lygon clan was edited down when they made the pages of Brideshead. The model for the beautiful and doomed Sebastian Flyte was Hugh Lygon. The most often used word to describe Hugh was “exquisite” with his athletic build, blond hair and amethyst eyes. Waugh was actually befriended first by the youngest of the Lygon sisters, Dorothy, known as Coote. 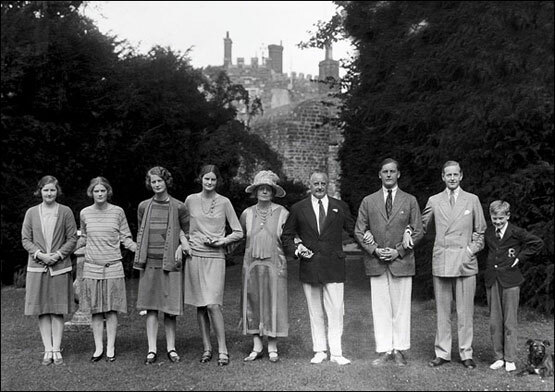 It was Coote who first invited Evelyn Waugh to Madresfield. The cool and aloof Julia Flyte was based on Mary Lygon, known as Maimie. "Not only did it implant in me a desire to see other countries: it laid the foundation of my delight in painting and architecture, and introduced me to that classical criterion." It would be easy to see how life at Madresfield might be impressive. The Staircase Hall is three stories high, featuring 3 glass cupolas. Carved into the frieze surrounding the ceiling are fragments from Percy Shelley's Adonais. Of course my favorite room in Madresfield is the library.
" There was the same rustling of liveries, plush and crimson, the choosing of rooms to sit in for conversation, the sparkle of champagne and the still plethora of port, there were precious books fetched out for fancy and the epicurean requirements of literature." 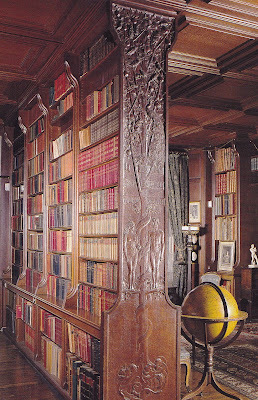 The library coincided with movement to the Cotswold by the The Guild of Handicraft. Leaving the city, this group of carvers, jewelers, cabinetmakers, binders and printers followed Ashbee to return to rural craftsmanship and a socialist ideal. Fiona MacCarthy has chronicled Ashbee and his movement in The Simple Life. 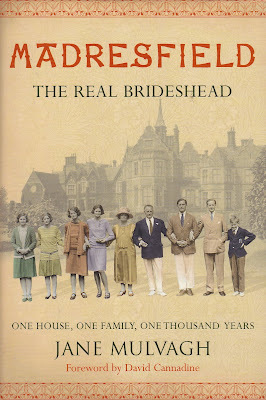 For the historical perspective of Madresfiled, take a look at Jane Mulvaugh's book. 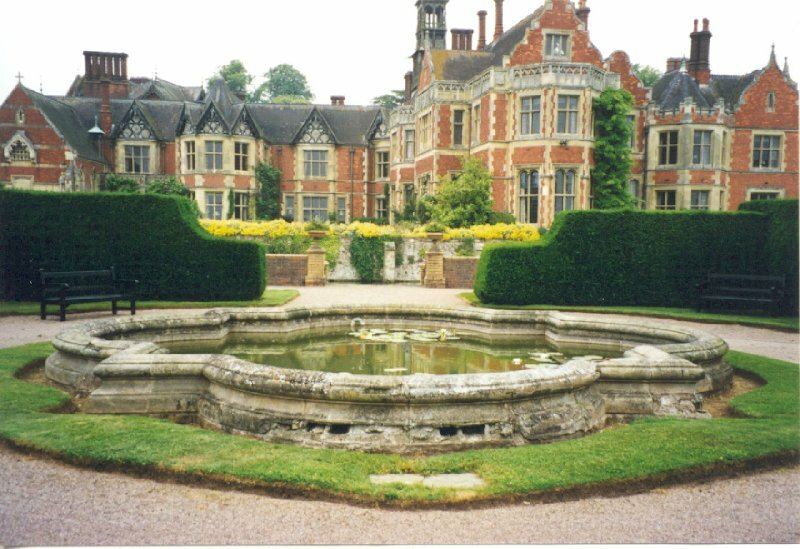 It is a lovely house, studied and visited as an Attingham student. The balusters in the skylighted Hall are glass spindles, complimented by the black millwork. I just finished reading the Mulvagh book and was getting ready to prep a "review" for my book blog (Chopsticks and String) and was hunting for photos when I came across your post. Would you mind terribly if I used some of the photos you chose, definitely linking back to your related post? Now I'm into a bio of Waugh called "Mad World." On a roll! 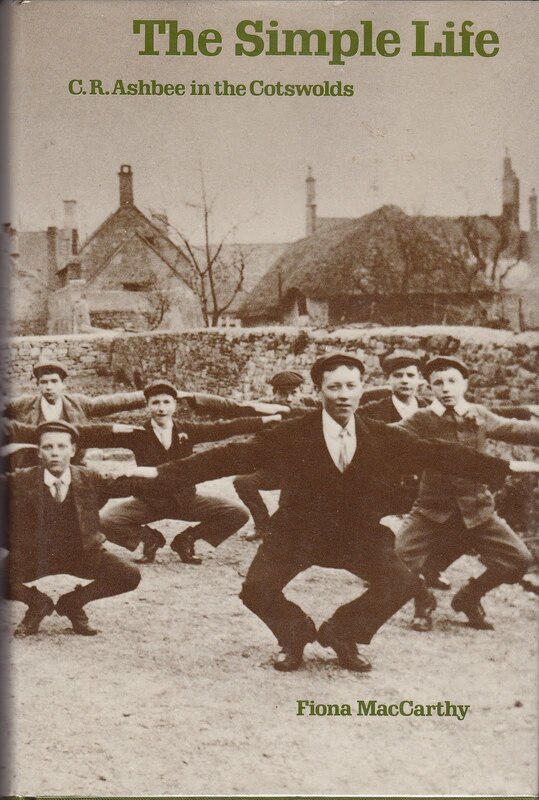 Great article about the Lygons and Madresfield. I am also a descendant of the family through my maternal grandmother via colonial immigrant, Col. Thomas Ligon who was the great grandson of Sir William Lygon of Madresfield, progenitor of our family. Thanks for the great information! great article. 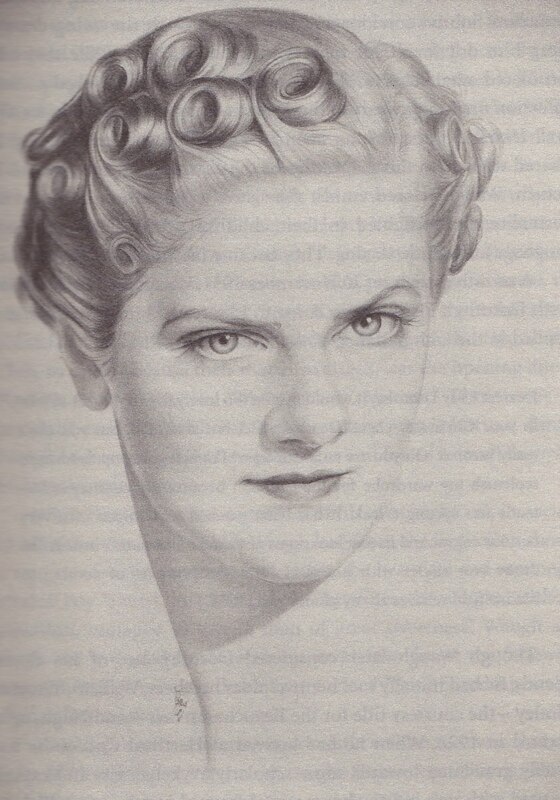 I live near Madresfield Court and at auction was lucky enough to purchase a wonderful portrait of Mary Lygon painted in 1937, I would send a photo of this if you would like to see it.